When we were very young, our parents would take us exploring in our cabin cruiser, “The Hurricane” up through Howe Sound, and further up along the Sunshine Coast towards Texada Island. While I never remember staying overnight on the boat, we did do some very long day trips. We’d sit in a line along the bench at the stern of the boat, with lifejackets rubbing our chins, while the sun and wind toasted us. Dad would sit on a high seat, steering, sometimes allowing one of us to help him. There was a small cabin, with counters, a table & bench seating. It most likely converted into a bed if needed. Mom would have packed our very reliable picnic basket with egg sandwiches, some sort of cake, and cookies, and lemonade. At some point, tins of Shasta sodas usurped the bottles of lemonade. We’d spend all day doing long runs out in the sea, or poking from inlet to inlet, getting off the boat to explore. Needing to swim into shore, or be lifted by Dad. On a recent road trip up to Bowser, and lots of tucking into the beach all along the way, north of Parksville, we stood on the beach and looked all the way from just south of Baynes Sound towards Vancouver. With the calm waters, and the hint of summer in the air, I was transplanted back to that bench at the stern of the boat, feeling the sense of adventure we always felt when leaving the dock, and very much felt the presence of our parents. Those wonderful boat trips, although early in our lives, imprinted the need to be near the ocean in all of us. 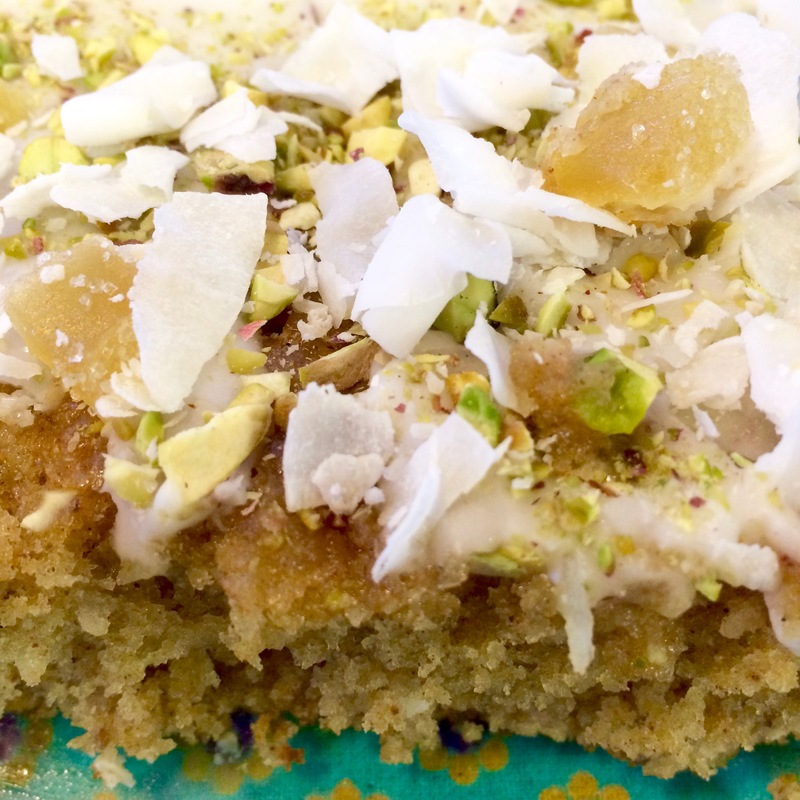 This is a delightful snacking cake that would be perfect for a day on a boat, or a picnic. 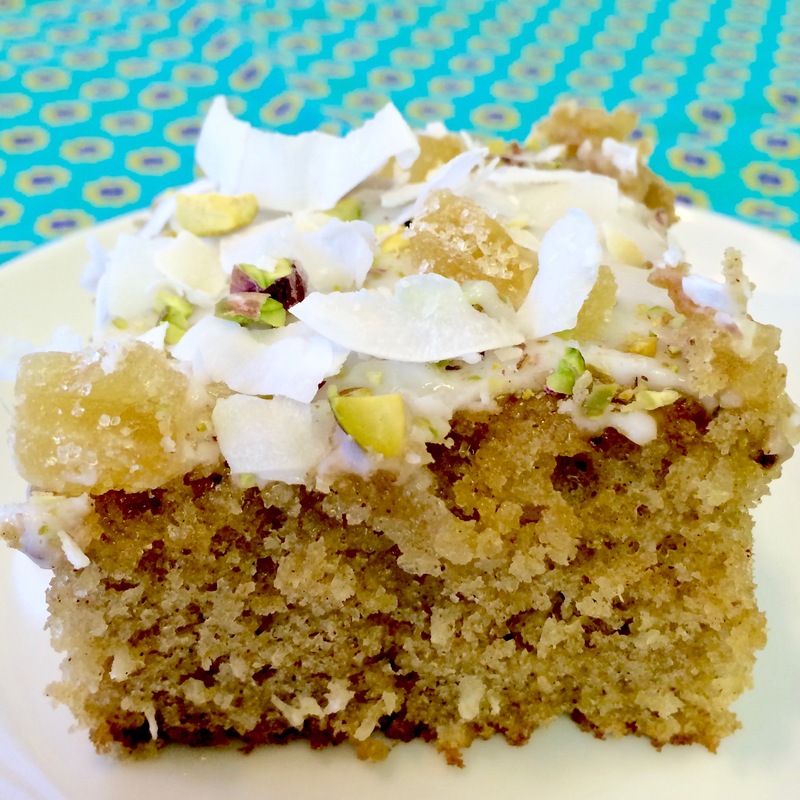 Originally from BBC Good Food, I have tweaked it a bit, a delicious idea to put the wonderful flavours of Chai into a cake. Enjoy! 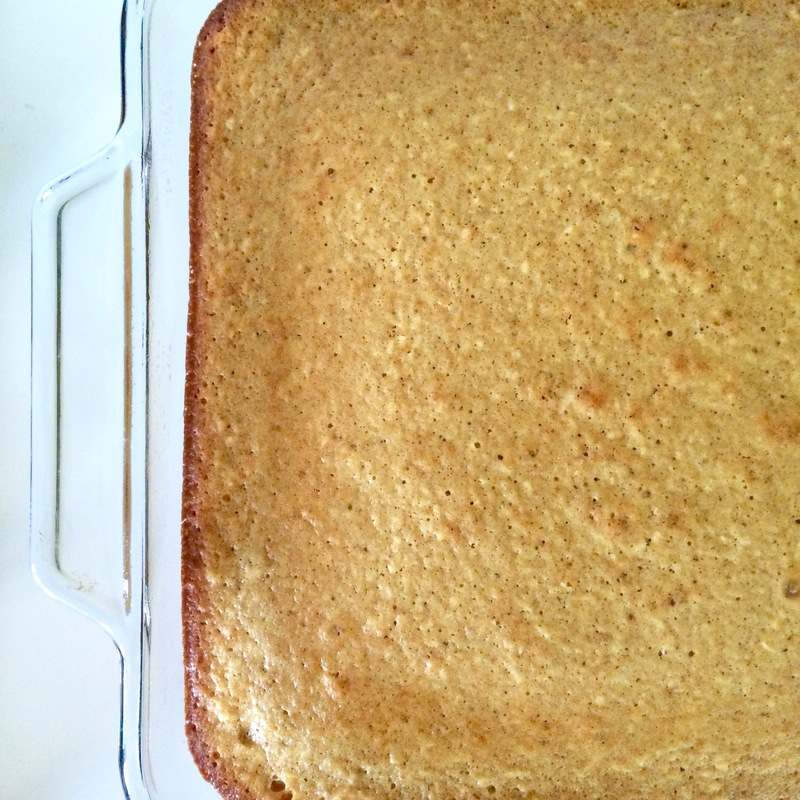 Lightly grease a 9”x13” baking dish or pan. 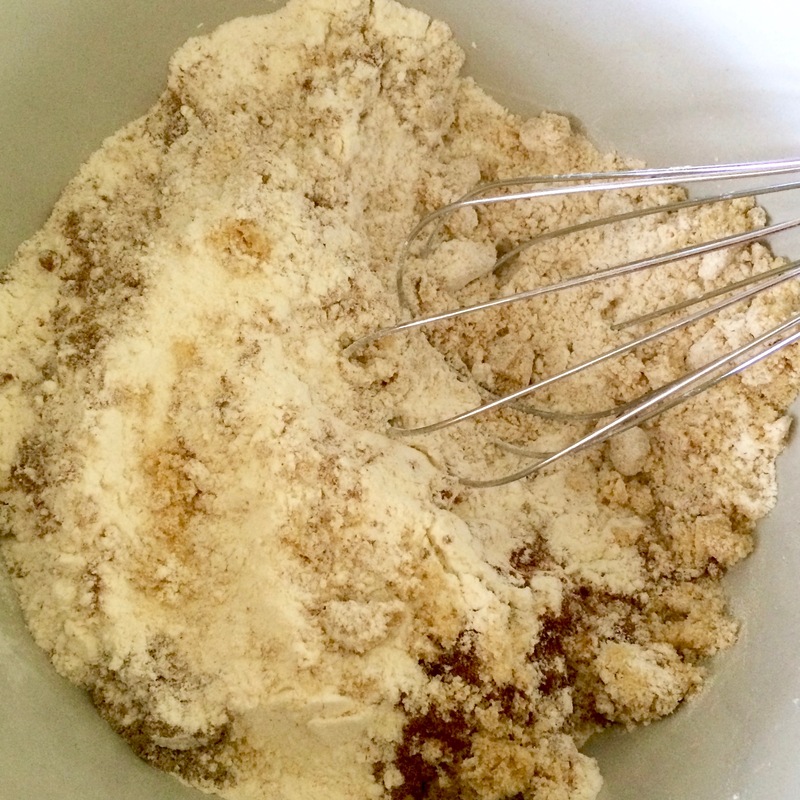 In a medium bowl, mix the golden sugar, flour, baking powder, salt, cardamom, ginger, cinnamon, cloves and nutmeg. 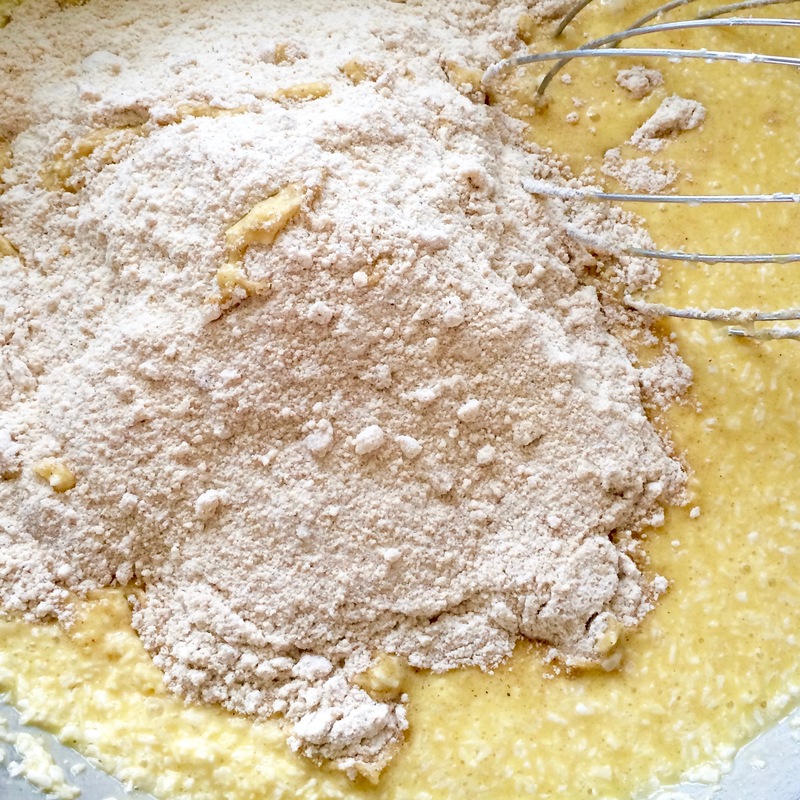 Crumble the golden sugar with your fingers until no large pieces remain. 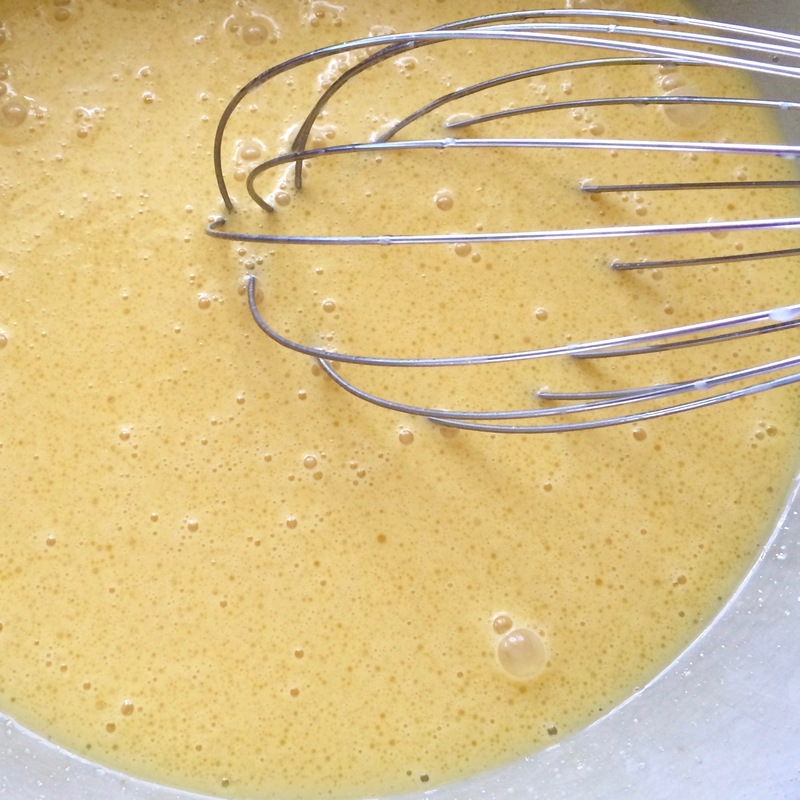 In a large bowl, whisk eggs thoroughly. 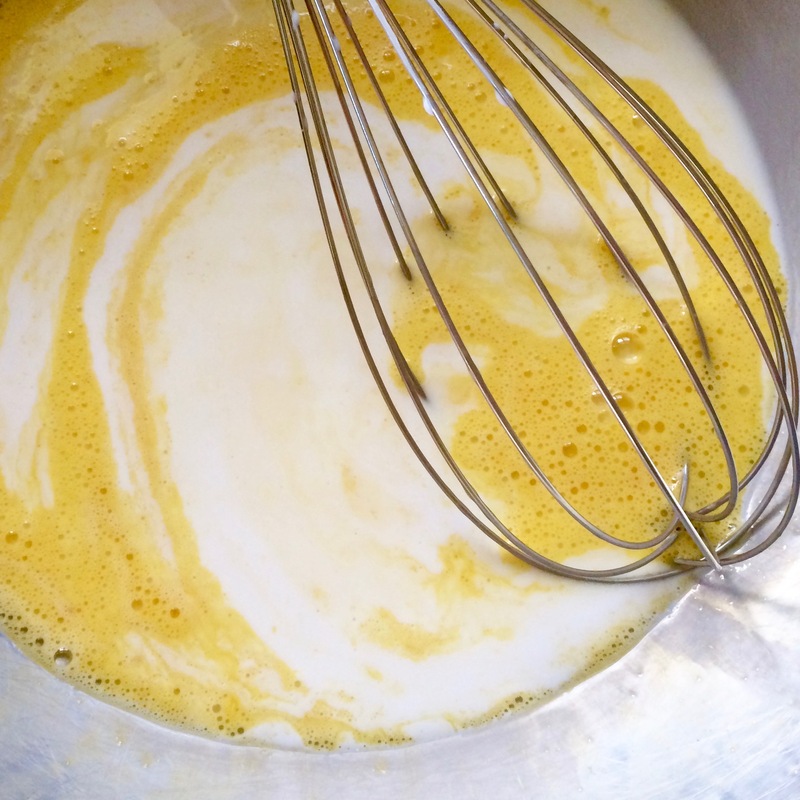 Add in the vanilla, whisking to combine. 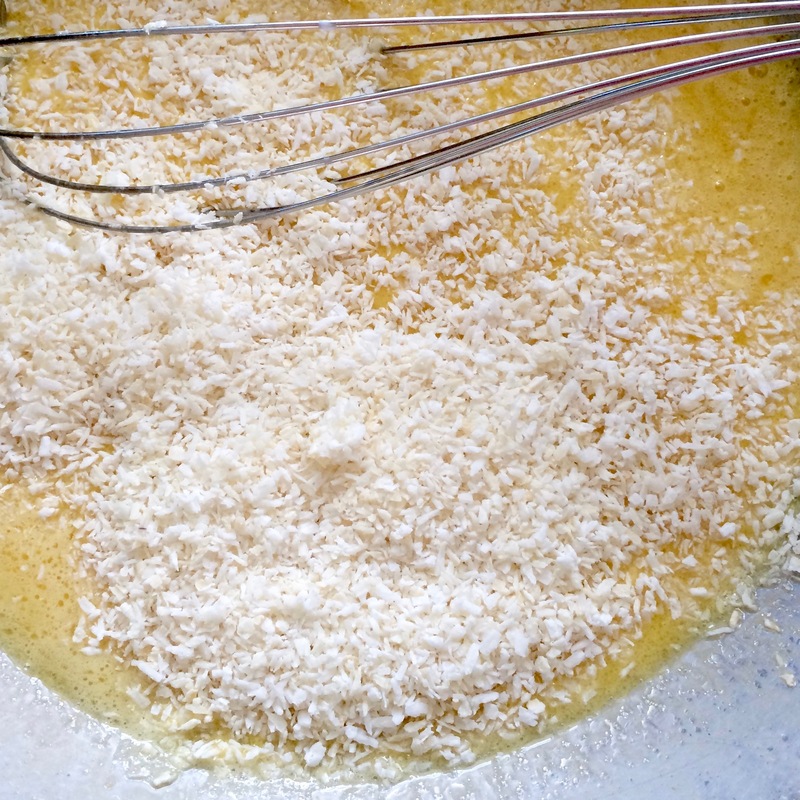 Add in the melted butter and coconut milk, whisking until smooth. 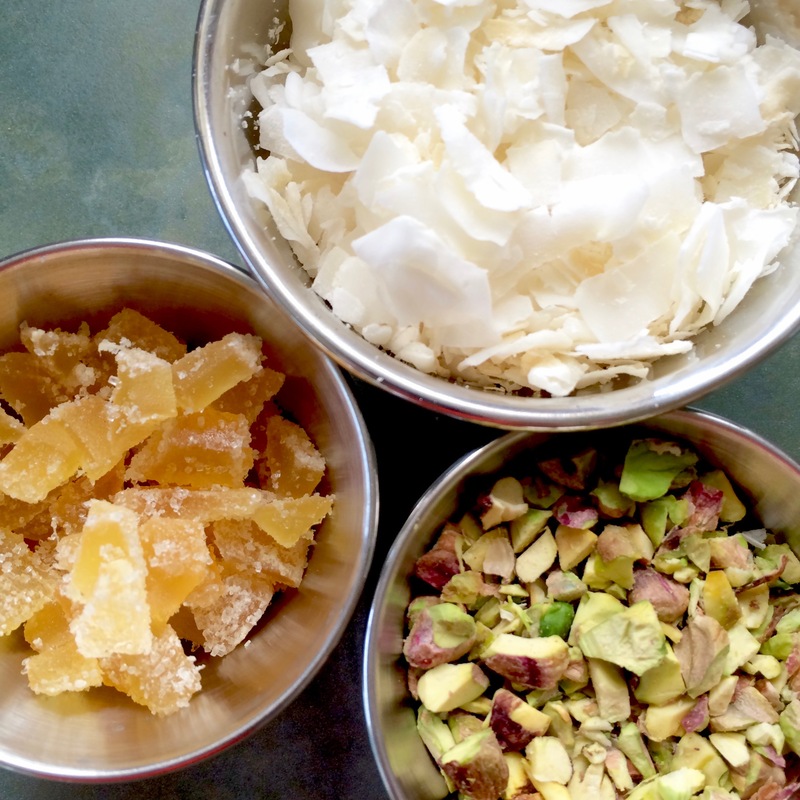 Add in the dried coconut. 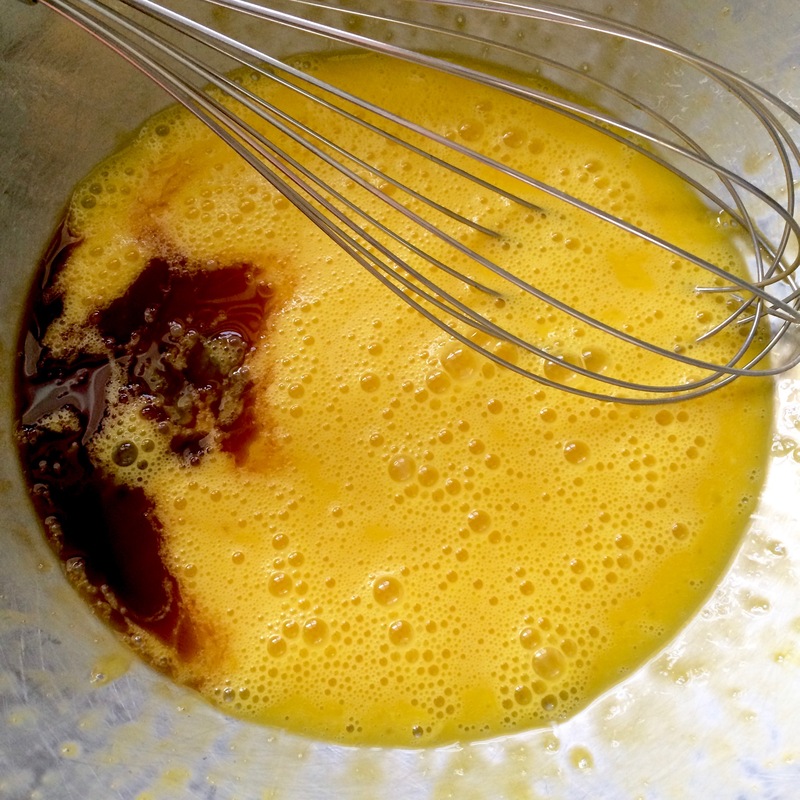 Add in the dry and whisk until uniform. 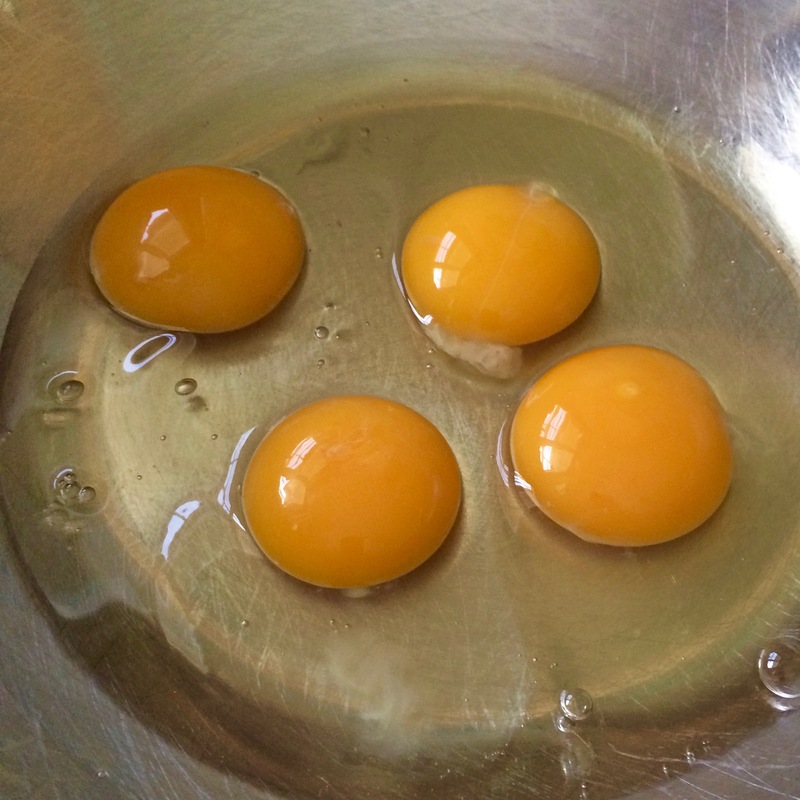 Bake for 35 minutes, or until top springs back when lightly touched. 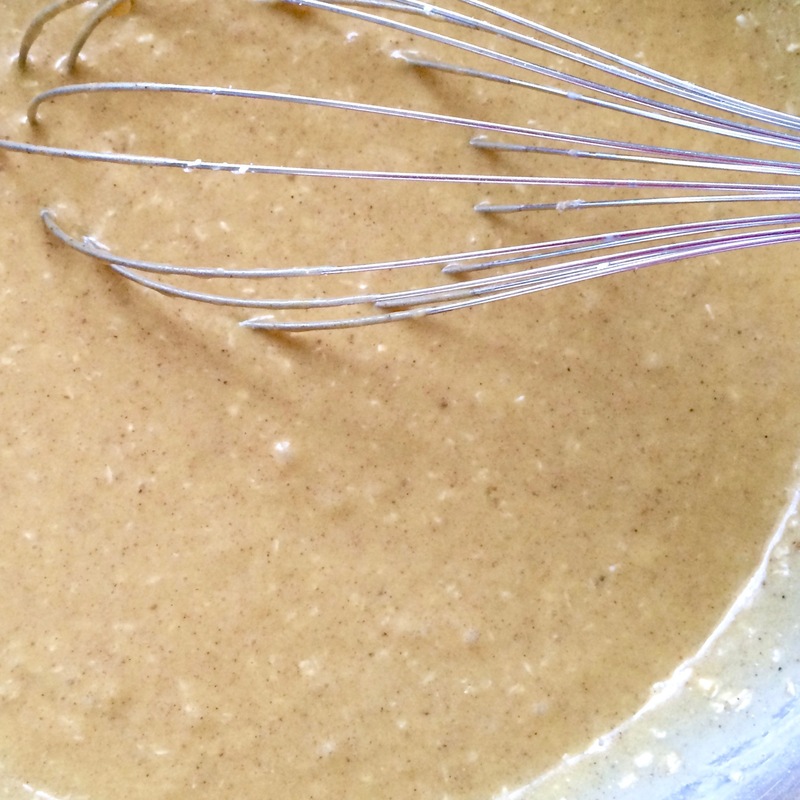 Mix the icing sugar and some of the remaining coconut milk, to make a glaze. 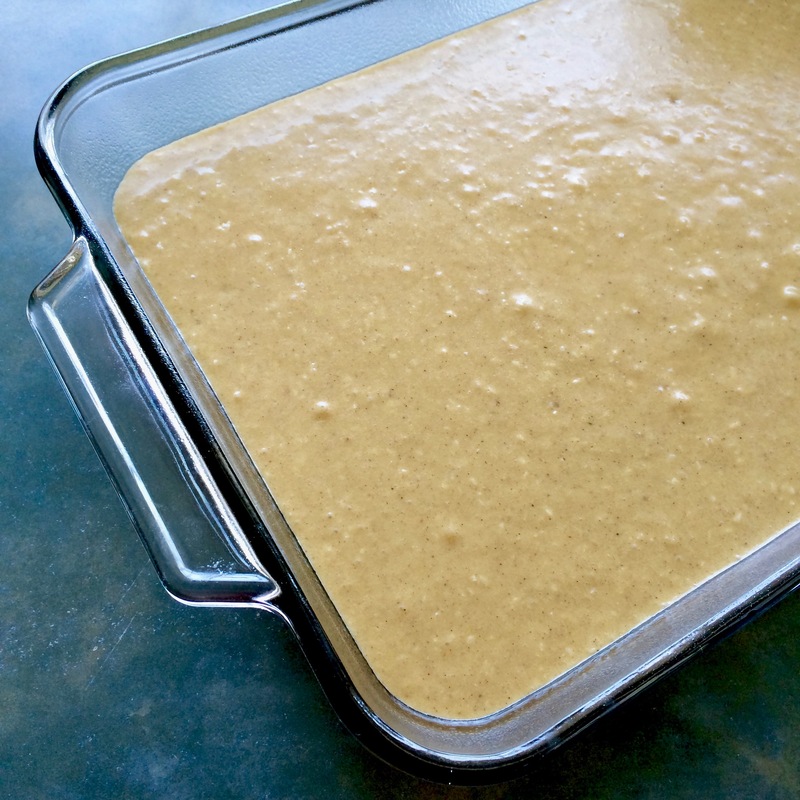 Using a spoon, drizzle the glaze over the cake from side to side, leaving some cake exposed. 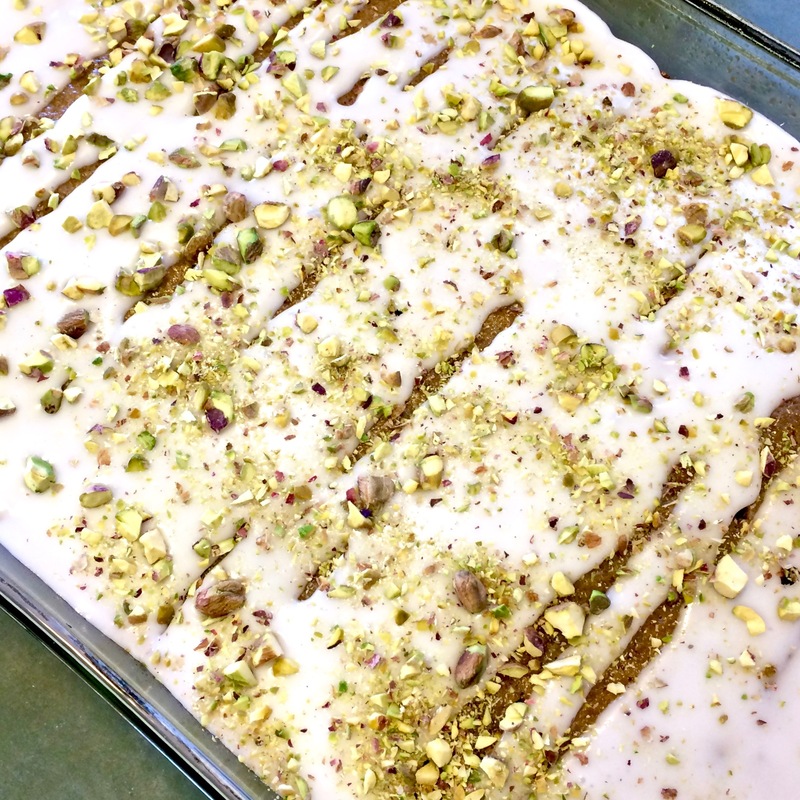 Sprinkle with the chopped ginger and pistachios. 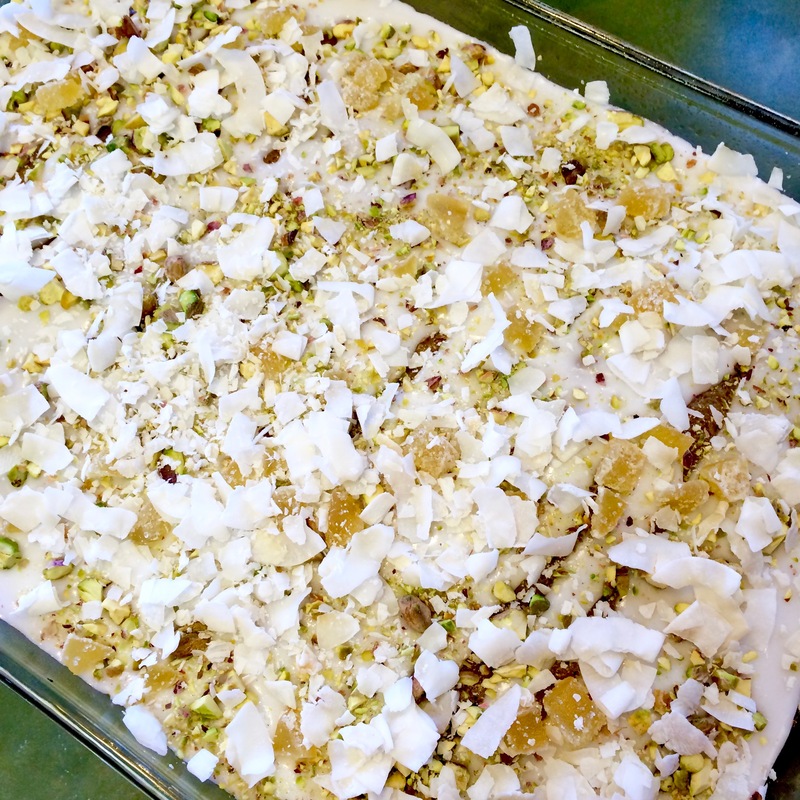 Finish with a scattering of coconut flakes. Gluten Free: replace all-purpose wheat flour with all-purpose Gluten Free flour – using weight per cup as shown for the GF flour you’re using.